When ATi introduced the Radeon 8500 everyone in the videocard industry was quite excited; finally there was some real competition for nVidia (Matrox has long been out of the running). In fact, the Radeon 8500 had so much potential it was dubbed a "GeForce3 killer". After its initial release back in October the Radeon 8500 was met with mixed emotions. The card had immense potential, and with such a powerful chip it should have done well but in true ATi fashion the 8500 was plagued with driver problems. With subsequent driver updates the card got better and better, and now it's performance is even better than the GeForce3 Ti500 in certain benchmarks! 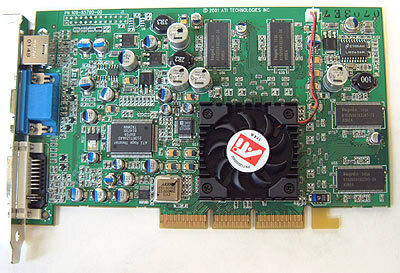 ATI built in support for DirectX 8.1 features so the Radeon 8500 is still one of the most advanced videocards on the market today. Yes, even more advanced than the GeForce4 Ti line of videocards! (Ed. flame here) The core of the Radeon 8500 is clocked at 275 MHz and backed up with 64 MB of DDR RAM that runs at 550 MHz. 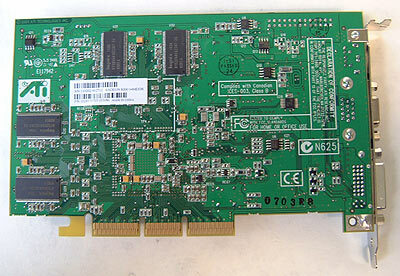 The 8500 is a videocard to be reckoned with by any measure. Included in the retail ATi package is a DVI to analog converter for dual display capabilities, one s-video to s-video cable, one s-video to composite cable, a users manual, driver CD and full versions of Half-Life, Team Fortress Classic and Counter Strike (one of the better gaming bundles). So what's new with the Radeon 8500 over of the old Radeon? As we mentioned in the FIC Radeon 8500 review the new 8500 (R200) has double the transistor count of the original Radeon (R100), from 30 million to 60 million. It's also produced on a smaller 0.15 micron die instead of the 0.18 found on the original Radeon. The engine of the R200 is quite a contrast from the one found in the R100 which had two rendering pipelines that could handle just three textures per pass. This time around the R200 has four rendering pipelines which can each handle two textures per pass. Doubling the pipelines is understandable since ATi has to keep up with nVidia in terms of rendering power, but why did they decided to drop from three textures per pipeline seems a bit odd at first. The answer is actually simple; with no major software developer (other then Croteam's Serious Sam series of games) jumping on the ATI bandwagon, and without proper programming the third texture unit is essentially useless. ATi has either upgraded or added new features to the Radeon 8500 which will look at next.